Former Law Minister Ashwani Kumar, representing Ms Sasikala and her nephew TTV Dhinakaran, argued the majority is on their side. He also disputed the authenticity of the affidavits filed by the other side- the O Panneerselvam and E Palaniswami camp. New Delhi: The second Election Commission (EC) hearing today over the AIADMK symbol war remained inconclusive today, with the VK Sasikala camp questioning the authenticity of the documents submitted by the rival group and demanding the 'two-leaf' symbol be frozen permanently. "Unless the authenticity of the affidavits can be determined by the EC, there is no material before the commission to actually decide the matter of the majority support," he later told reporters. He said the majority support under the party constitution can also be considered on the basis of the support of the primary members not only on the basis of general council members. "At the worst, even if all our arguments fail, even then symbol cannot be granted to one faction and it has to be frozen," he said. The hearing remained inconclusive and the matter was adjourned for October 23. The Supreme Court has asked the poll panel to decide on the matter by November 10. Senior AIADMK leader and supporter of the OPS-EPS camp, KP Munuswamy, said the Sasikala faction is losing the legal battle and that is why it was demanding to freeze the symbol permanently. Counsel for OPS-EPS side and former MP Manoj Pandian said, "It is their attempts to delay the hearing process by questioning the authenticity of the affidavits. Despite their attempts to delay, we shall get the symbol," he said after the hearing. During the last hearing on October 6, the OPS-EPS camp, which merged recently, had staked claim over the AIADMK and its 'two-leaf' election symbol before the Election Commission, claiming support of a majority of lawmakers and party cadre. In an interim order in March this year, the Commission had barred the then rivals- Mr Palaniswami and Mr Panneerselvam -- from using the party's name or its symbol in the RK Nagar assembly by-poll necessitated due to the demise of sitting lawmaker J Jayalalithaa. The by-poll, for which the AIADMK had fielded Mr Dhinakaran, was later cancelled due to alleged bribing of voters and is yet to take place. Prior to the merger, the two factions led by Mr Panneerselvam and Mr Palaniswami, VK Sasikala had staked claim over the symbol. Tamil Nadu Chief Minister Palaniswami was then a Sasikala loyalist. The poll panel had, however, frozen the symbol, pending decision on their pleas. 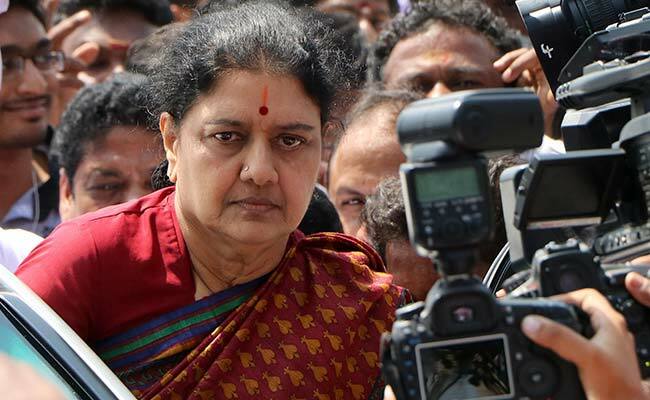 Later, a large number of legislators led by Mr Palaniswami revolted against Ms Sasikala, who is now in jail in a disproportionate assets case, and announced merger of the two factions.